We know that Apple is working on an update to Final Cut Pro X – Apple's head of worldwide marketing Phil Shiller admitted as much in the WWDC keynote back in June. We've asked professional video pros and members of a Facebook group about Final Cut Pro to share their wishlist of the new Final Cut Pro X 10.1 features they hope to see. We know that Apple is working on an update to Final Cut Pro X – Apple's head of worldwide marketing Phil Shiller admitted as much in the WWDC keynote back in June - we just don't know what kind of update. There are some who expect that it will just be another point update, a free update to existing users. Others think that the next update could be Final Cut Pro 11. While others expect that the next update to Final Cut Pro will follow the same pattern as updates to OS X; this update being Final Cut Pro X 10.1, with a cost associated with it, as is the case with Mavericks. Perhaps, as with Mavericks, the upgrade cost will be small. People are hoping for a significant upgrade, however. With Final Cut Pro X at 10.0.9, it looks promising that the next upgrade will be a big one. We asked contacts in the professional video world, and members of a Facebook group about Final Cut Pro to share their thoughts with us. For more information read our regularly updated Final Cut Pro release date and rumour round up article. When Final Cut Pro X was launched by Apple back in June 2011 it was met with criticism. Apple's complete re-write of Final Cut Pro, which bought a number of new features wasn't appreciated by everyone. Message boards and Twitter filled up with complaints about the software, with many dismissively calling FCP X nothing more than iMovie Pro. The creative pro who started the We want a new Mac Pro Facebook group, Lou Borella, explained to us why he thinks that the reaction to Final Cut Pro X was so devastating for Apple. "I don't think FCP X ever had a chance to succeed, " he said, admitting that he was one of those who didn't give it a chance. Borella added: "I believe that the entire community was ready to jump ship. Apple had neglected the space for far too long up until that point. Updates to the Mac Pro were becoming further apart. All the talk from Apple at the time was iPhone and iOS. Final Cut Pro was basically six years old at the time of X's release and it was really showing its age. The expectations for the successor to 7 were reaching a fever pitch. Rightly so, or not, FCP X needed to be a product that rewarded the trust that the professional community had placed in Apple." He continued: "Because of those expectations (and the fact that Apple had brazenly tried to change an entire industry with one piece of software that really didn't seem ready for prime time) FCP X failed in its introduction." "FCP X was missing too many features. My clients wouldn't make the jump to X. Many of them had too much money invested in their hardware infrastructure and X seemed to ignore all of that," Borella said. "I'm realizing now that X was ahead of its time. I've heard talk that Apple didn't want X to be the first product released under Tim Cook's reign. I've heard that Apple wanted to release X during Jobs' tenure so Cook wouldn't be blamed if the drastic change in approach wasn't widely accepted'" he added. "It was obviously released before it was finished," concluded Borella. Three years on and the debate is still raging, with critics and fans battling it out on message boards and in Facebook groups. However, since it was launched there have been multiple updates to Final Cut Pro X, and over the various iterations Apple's video editing solution has improved. Video editor and Apple Certified Trainer Richard Taylor, who maintains an All Things Final Cut Pro X blog" admitted: "When Final Cut Pro X first launched it had missing features that professionals required. But Final Cut Pro X introduced unique forward-looking features like the magnetic timeline and live playhead skimming. And it has added many features since its initial release." Some of these features, said Taylor: "Are the best implementation of all non-linear apps." As one Final Cut Pro user told us: "The existing version is actually pretty good. Not nearly as bad as when it came out." And as the Final Cut Pro Users Facebook group member Michael Sanders puts it: "If you haven't used it from 10.0.6 you need to revisit it." "Anyone who thinks it's bad does not know the program and it says more about them than the program. In the hands of an expert it's greased lightning," stated Darren Vallence on Facebook. Taylor believes that any criticism of Final Cut Pro X is unjustified given the state of the industry. He told us: "Who has the perfect non-linier video editor? The correct answer is no one. There is no perfect non-linier video application. Avid, FCP7, Premiere Pro, FCP X, each has their own strengths and weaknesses." Mikey Corder in the Facebook group wrote: "I had been editing in the previous versions of Final Cut for more than eight years when X came out. Within a week I was editing twice as fast as before and still able to do everything I needed." Young Kwak agreed: "When I first started using FCP X it was confusing. But within an hour I was up and running." "Plugin development for Final Cut Pro X was much simpler than previous versions," said film edito, plugin developer and Final Cut Pro blogger, Alex Gollner. "Final Cut Pro X plugins are created in Apple Motion 5… A plugin that would take me a day to two to implement in FxScript [the scripting language used for classic versions of Final Cut Pro] I could produce in a couple of hours in Motion," Gollner told us. "The fact remains that professionals use Final Cut Pro X every day. Filmmakers, television show producers, post production houses, news reporters, event videographers, and so on," said Taylor. It's also worth noting that at the time when FCP X launched some studios were still holding on to old ways of doing things, many of which have now passed into obscurity. As Borella noted: "People that were still using tape had a valid gripe but I doubt they are still complaining." A lot has changed in the past three years. The other thing that has changed is the competition. "In the pro marketplace it used to be FCP7 versus Avid. Once FCP X was released it became Avid, Premiere Pro and even FCP7 versus FCP X," noted Taylor. In the meantime, Avid "has been showing its age," noted Borella. "The advent of the tapeless workflow cemented the fact that Avid as a company just wasn't nimble enough to adjust to new technologies." We asked the Final Cut Pro Facebook group what features they are hoping for in the next version of FCP X. This stirred up some debate between those who are still using FCP7, those who have switched to Adobe's solutions, and those who are using, and loving, Final Cut Pro X. One common request was for Apple to make collaboration easier in Final Cut Pro X 10.1. As Gareth Crook in the Facebook group wrote that his number one request was: "Being able to store the project on a server so that editors can share projects". Gollner hopes that FCP X 10.1 will enable better collaboration. 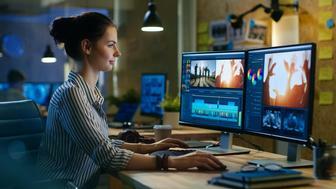 He believes the next version of FCP X will be Apple's opportunity to demonstrate "how multi-user editing should be done". "At the moment only one editor, sound designer, director or subtitler can make changes to a film at the same time," he told us. "The very nature of film making is collaboration," he added. Gollner likened multi-user editing in FCP X to multiuser databases, noting that multi-user databases are nothing new and can be shared by thousands of people. Gollner noted that editors can already share footage stored on a shared drive and suggested that Final Cut Pro X v 10.1 should let many people work on the same timeline at the same time. "The trick to implementing true multi-user editing is the user interface," explained Gollner, suggesting that this is an area Apple has expertise in. "Of all the major video editing app developers, I think Apple has the best shot at solving the problem," he stated, although, as he noted, the solution will have to address the "technical problems of keeping productions consistent" and "support the politics of collaboration as well". Another criticism of the current iteration of FCP X is the way it handles projects. As one of our Final Cut Pro editors pointed out: "At the moment all the projects open at once, eating up RAM and slowing down the opening of FCP X". This was echoed on the Facebook group where Jim Wheelock stated: "I hate that everything loads. Just load the project I'm working on. I don't need to see everything else." Even more frustrating for some is that fact that Final Cut Pro X projects auto save. "Because everything is saved all the time there is no way to go back in time to an earlier version. What happens if I want to access a version from 11am? The only way is to Command + Z." Perhaps Apple will build in a Time Machine-like versions archive in the new version? FCP X "can't handle long projects," is another complaint we heard. "It's not up to editing a feature film," claimed one video pro. FCP X needs: "Fool proof media management for archiving and moving events and projects," said Taylor. Every item in an event and project "including customized titles, effects, compound clips and all media," should be "properly accounted for" when it's archived or moved. "No more missing icons or other surprises upon opening the archived project," suggested Taylor. "And the ability to trim a project to just media that is actually used in a project," he added. There are various other grumbles about how Final Cut Pro X handles media. Complaints include compound clips not being dealt with effectively when moved to another drive. Suggestions of ways things could work better include: single folder project and event management instead of the "messy" two-folder system that exists now; a way to import individual files into folder-like keyword collections; the ability to select where I can put my media and renders; and one click archiving of a project or event "it's a pain copying the folders then deleting all the render and thumbnail files". Top of many a wish list are requests relating to the timeline in FCP X.
Taylor noted: "A scrolling timeline option," in his wishlist. "Many professionals want this feature that every other professional video NLE, audio DAW and even iMovie for iPad has," he explained. Jim Wheelock on the Facebook group called for a "Timeline in the viewer." Another request in the Facebook group: "Timeline should stay in the middle rather than run off the screen," wrote Darren Vallence. Or how about "the ability to colour code clips on the timeline," as suggested by Eilar Johnson on Facebook. Another timeline related request: "A 'reveal in timeline' option for clips in the event browser." One of the things that critics of FCP X complain about is the lack of tracks. Gollner believes that the real issue is the lack of willingness to adopt "the Final Cut Pro X editing metaphor". Gollner pointed to the fact that track-based editing metaphors are based on 1980s animation software. "Every editor since Avid [was introduced as an alternative to tape-to-tape based editing] has leaned that editing is manipulating the start and finish times of video and audio elements arranged in layers – track based editing". Gollner suggested: Final Cut Pro X will get many more converts if the 10.1 update includes features that would be impossible to implement in an old-fashioned 20th century interface." Gollner didn't elaborate on what these features might be, but he suggested: "Apple's skill has always been persuading people to interact with technology in ways they never did before. Removing an interaction metaphor that so many users have become comfortable with had better have a big payoff. If so, I can't wait to find out what it is!" One particular feature missed by Final Cut Pro veterans is the "feature-complete" XML implementation, noted Gollner. He explained: "XML evolved into a format that could store almost every aspect of a Final Cut project. This meant that third-party applications could import Final Cut Pro XML files, make many useful changes, automate complex changes and generate files that could be directly opened in Final Cut." used in titles, or keyframes for any parameter that is animated," Gollner explained. "When this kind of XML file is imported into another copy of Final Cut, much of the original information is lost," he added. Gollner speculated: "Perhaps the lack of a full-featured Final Cut Pro X XML is to prevent competitors on other OS platforms from creating a peer application that can take Final Cut projects and edit them on non-Apple hardware." Another feature that video pros are calling out for is better integration with Apple's Motion, the company's tool for used to creating and editing motion graphics, titling and 2D and 3D effects. In the Final Cut Pro User Facebook group, Mikey Cordes requested: "Round tripping for clips in timeline with Motion." Jim Wheelock echoes this, concluding his list of wished for features with: "MOST IMPORTANTLY… BRINGK BACK MOTION ROUNDTRIPPING!!! I miss that big time." Allen Williams agreed: "Motion roundtripping… that should've been a no-brainer." A number of the video editors we asked called for pro audio features in Final Cut Pro X. Taylor suggested: "More precise audio waveform editing and a mixing board with Master Fader, audio plug-in inserts and keyframe recording. And easy round-tripping with Logic Pro X." On the Facebook group, Eilar Johnson calls for a "more detailed ability to adjust audio levels using the range tool. Master audio channel. Ability to group clips (not compounding or nesting)." A better keyframe editor and keyframe options, was requested by Taylor. "The current implementation is like keyframing in Etch-a-Sketch." A number of video editors called for greater flexibility in customisation of the FCP X interface. For example, Taylor requested the ability to: "Save and recall customized window layouts with customizable window panes with multiple colour correction scope windows open at the same time." "We need better masking capabilities. What is there is pretty weak at the moment," was one complaint. Another new feature being called for by video pros is "true background rendering". One complained: "At the moment rendering only kicks in when you stop working." We imagine that the new Mac Pro will enable such processor intensive activities. There was also a request for the ability to edit in RAW, including the ability to generate proxy files from RAW media. How about the ability to read source Timecode from original media and display it in the TC window," suggested one video editor. "At the moment you get display TC from the Timeline, but not the original source media." And 3D was the request of Mark Van Der Spuy in the Facebook Group. One suggestion was that Apple should: "Ditch any resemblance to iMovie". While: "Make it more like Premiere," was the advice of Didier Lenglarert on Facebook. Gollner had some interesting ideas about how Apple could build an ecosystem around Final Cut Pro, similar to the Mac App Store and the iOS App Store. He explained: "I hope Apple implements a sub-ecosystem – an in-app-based way for post production people to access products and services for Final Cut Pro X, Motion. Logic Pro X, and Aperture." He added: "Users would get instant access to tools and services they need, and providers would be able to build businesses supporting people all over the world." Gollner suggested the following products for this Final Cut Store: Plugins, colour correction services, freelance hours, video tutorials. Of course, Apple would gain from this in the form of its standard 30%, and "they would get a post production hardware-software ecosystem that would be hard to beat". Even without a built-in Final Cut Pro store Apple will have an opportunity to sell products off the back of a successful Final Cut Pro update. If Apple gets FCP X 10.1 right it will "sell many more high-end Macs," predicts Gollner. On the other hand, Chris Gomersall in the Facebook group was hoping that the new version will work on legacy Mac Pros. Knowing Apple this is very unlikely. We're sure that some new features will be only available to new Mac Pro users. These new features will help sell the new machine. Will FCP7 users switch to FCP X 10.1? So will all this be enough to encourage those pros hanging on to FCP7 to finally upgrade? Whan Zulu in the Facebook group noted: "It's funny that most of the feature requests are about features that were already in FCP7. One thing Apple has never understood: 'If it ain't broke don't fix it.' They mutated an already successful product for no real good reason." Continuing his praise of FCP7, Zulu wrote: "FCP7 was like the golden boy, homecoming king. Then they beat that dude into a pulp, now he has become the scar face pale Gothy kid none of the 'cool kids' (pro users) wanna talk to, let alone touch." Strong words. Another Facebook group member sums it up in three words: "Make version 8," wrote Mark O'Sullivan. For some it may be too little, too late. Writing on the Facebook group, Brooke Maroldi said: "After years as a FCP and Mac lover, I'm leaving both! Tried to come on board with FCP X last year but it was a nightmare. None of the 'Geniuses' know how to help me set up to edit both old and new projects. The compatibility issues were just too much. Apple abandoned the pros, so the pros have left in droves. I'm going with Adobe Premiere. If Apple doesn't know how to treat loyal customers, then goodbye." Not everyone who has stuck with FCP7 rather than upgrade to FCP X is as critical of the new software, however. Gareth Crook explained in a Facebook post that while his team of pro editors has stuck with FCP7 "as FCP X improves (and it is improving) we will make the move, when the time is right. I'm confident that won't be too far off now." While FCP7 advocates continue to be vocal, it may only be a matter of time before they are forced to upgrade from the version of Final Cut Pro that launched in July 2009. Taylor summed up his expectations for the next version of Final Cut: "We have seen the future of Apple's dedication to the pro marketplace with the recent release of the superb Logic Pro X and a modern version of the Mac Pro, coming soon. Many said Apple would never make a new Mac Pro, that the iMac would be the top machine. And they were wrong. I expect major jaw-dropping new features in Final Cut Pro X 10.1, along with restoring often requested features." "This will be the release that will launch Final Cut Pro X back to the front of the pro marketplace," Taylor predicted. Borella has high hopes. He told us: "If the new Mac Pro sees quick adoption rates (and I think it will after the sticker shock wears off) then I think X will quickly follow. Apple has to prove to the pro user that the software is capable in a professional environment. Losing the import iMovie option at start-up would be a small but obvious place to start. Providing more training and examples of real-world use would also help. X is unlike any other editing software out there. People need to be shown the ropes before they jump in and Apple should provide that orientation." Borella closed with an assault on Adobe: "If Apple becomes a major player again then Adobe will be forced to raise their game. Adobe has overplayed their hand by forcing customers to pay a permanent licensing fee to keep their software active. So far I don't believe that Adobe's updates are justifying the cost. Premiere is just finally ahead of where FCP7 was. After Effects is really showing its age. 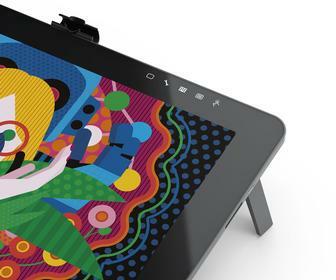 Adobe's subscription based pricing has given the professional community a reason to search for alternatives again." "I'm rooting for Apple," said Borella. "The professional community as a whole should be rooting for Apple to regain its market share." Read our article about the reaction of video pros to the new Mac Pro. Share your thoughts about the next and current versions(s) of Final Cut Pro below this story, on Twitter, or on Macworld UK's Facebook page.